China had signed memorandums of understanding (MOUs) with 37 African countries and the African Union (AU) on jointly developing the Belt and Road as of Thursday, an official said Friday. 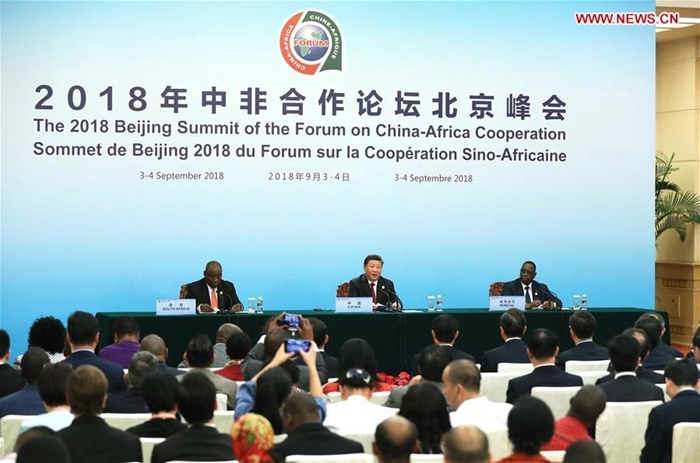 The number of African countries who signed the MOUs account for 70 percent of all the 53 African nations that attended the 2018 Beijing Summit of the Forum on China-Africa Cooperation (FOCAC) that concluded Tuesday, according to Xia Qing, an official with the National Development and Reform Commission (NDRC). Xia, who is deputy head of the NDRC's international cooperation department, noted that 28 African countries and the AU inked the MOUs during the summit while the other nine countries had signed before the summit. China aims to sign cooperation documents on the Belt and Road development with all African countries and will steadily push cooperation to achieve tangible results and benefit African people, according to Xia. So far, China has signed 123 cooperation documents on the Belt and Road development with 105 countries in Asia, Africa, Europe, Latin America, and the South Pacific region, and 26 such documents with 29 international organizations.